Save 25% When You Buy Bundled eBooks - Success! 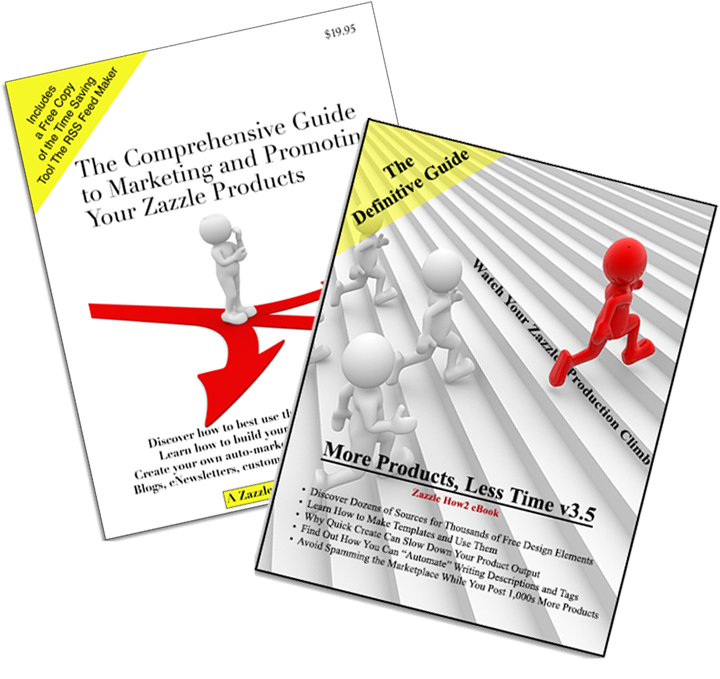 For those that want to quickly get their store open and start filling it with product, this eBook bundle is perfect. 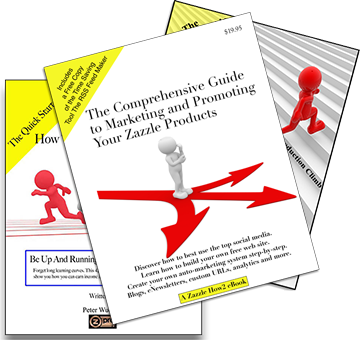 How to Get Started on Zazzle will guide you through getting your store open in no time and teach you the basics of product creation. 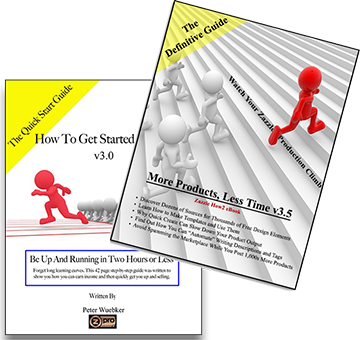 More Products Less Time builds upon that base showing you step-by-step the best practices for designing and building many products at one time. Plus our free handy pdf of the Zazzle fonts. Save 25% at just $8.95 for both eBooks. Where can I find more details on each of these items? You can use the links below to visit the detail page for each. The links will open a new browser tab/window so you don't lose your place. What are the formats for each of these items? The eBooks are in portable document format (PDF) as is the The Zazzle Font List. The RSS Feed Maker and the Three Year Accounting and Planning Tool are Excel workbooks. The DIY Business Plan Template is a Word document. Everything comes in a zip file. I am greatly disappointed and want my money back. We're sorry to hear that. There’s a 100% money back guarantee. Just Contact Us and we’ll give you a full refund. We don’t want unhappy customers.